Here's a question for budding chemists in the land of milk and marijuana: What do you get when you mix water and THC extracted from weed? Answer? You get cannabis-infused water, of course. Carbonate the water and now you've got a cannabis spritzer. A cannabis cocktail. A bud-based bevie. Now there's a local company, Occidental Power, creating THC-infused water that will be on shelves in the New Year. The company uses Russian River tap water that's filtered before the cannabis is added. Then comes the fizz. Next year, the folks at Occidental Power plan to buy from local growers, but right now, they're using their own organic cannabis that they grow outdoors. Only the choicest flowers go into the cocktail. The extracted psychoactive component is added to the water and becomes Mountjoy Sparking Water, which will be available in local dispensaries starting in January 2019, in a childproof, 16-ounce plastic bottle. The beverage will come in several flavors, including blackberry, lemon, lime, peach and natural—which offers a mix of herbs from the Sonoma County Herb Exchange in Sebastopol. Occidental Power won't say exactly what herbs go into the mix. The company doesn't want to give away its secret formula. Alex Mountjoy is a familiar face in Occidental in Sonoma County. He'll soon be famous all over town for his cocktail. "For a long time, I wanted a cannabis beverage," he says. "I developed it as much for myself as for the market. "I know this might sound clichéd, but our cannabis beverage is a thinking person's tool that helps balance your life," he adds. "It certainly balances my life. It's good for cooking, sleeping and working; it increases productivity." Mountjoy and his wife and business partner, Jenny, are no strangers to manufacturing and marketing. For years, they sold clocks, mirrors and picture frames all over the United States. Their factories were located in the East Bay. In addition to the cannabis cocktail, they have a body-care line. Right now none of those products contain cannabis product, but they will in the near future. 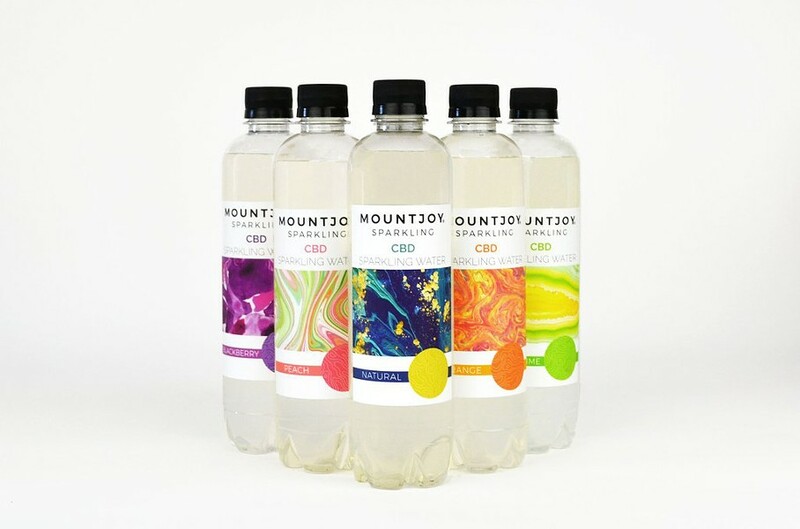 They also offer bottles of Mountjoy Sparking Water infused with CBD. Sip the CBD product to help with anxiety and without any psychoactive effects. It's shipped around the country and also available in local supermarkets.